L.K. 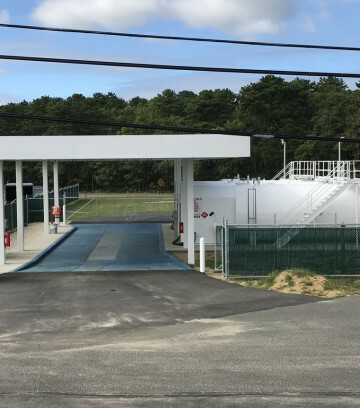 McLean Associates (LKMA) was hired by the Town of East Hampton as the sole Engineering Consultant responsible for delivering a new fuel storage and distribution center (a.k.a. fuel farm) to replace the existing out dated and undersized fuel farm. LKMA provided the site survey, engineering, planning and construction support services for the project. The Lower level of the Concourse for gates 1 through 4 was converted into an outbound baggage facility. A one-story addition 18' x 182' was added to the south side of the building in the courtyard area. This new outbound baggage facility was connected to the ticketing wing via an underground conveyor. LKMA prepared the plans for the utility, drainage and sanitary collection system relocations and offsets. LKMA also provided drawings for the horizontal and vertical alignment for the tunnel and provided all of the civil/site design for the project. 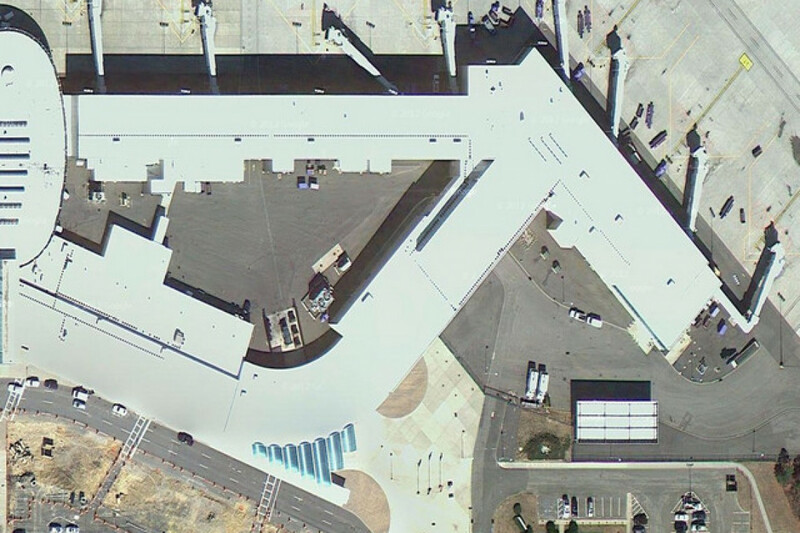 This project included topographic survey and design of all airport site work associated with an 80,000 SF expansion and reconstruction of the East Concourse of Long Island Mac Arthur Airport’s passenger terminal. Design work on the airfield portion of the project was performed in accordance with Federal Aviation Administration standards. Components consisted of a 240,000 sf aircraft apron area, a drainage system to accommodate runoff from the apron as well as a substantial portion of the existing runways and taxiways, and apron/taxiway lighting. 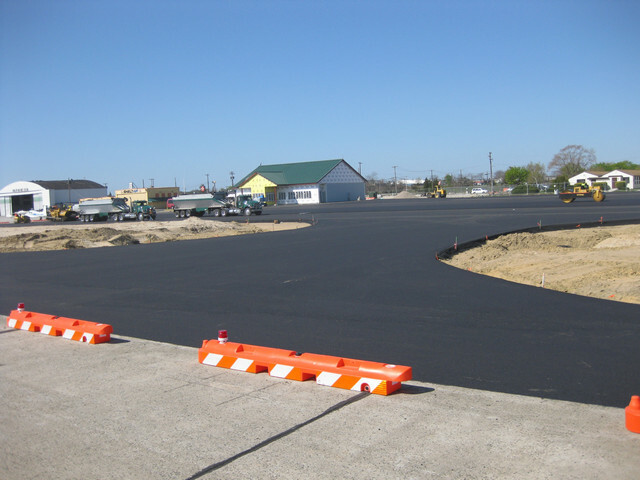 Outside of the airport operations area, site work included a sanitary system for the expanded building; relocation of utilities; new parking areas for 2,500 vehicles and access roads, including lighting, pavement markings and drainage. LKMA completed design of a facility to capture stormwater runoff during periods of aircraft de-icing, so that it can be treated. The facility is located “on airport”, adjacent to the existing aircraft apron at the main terminal building. 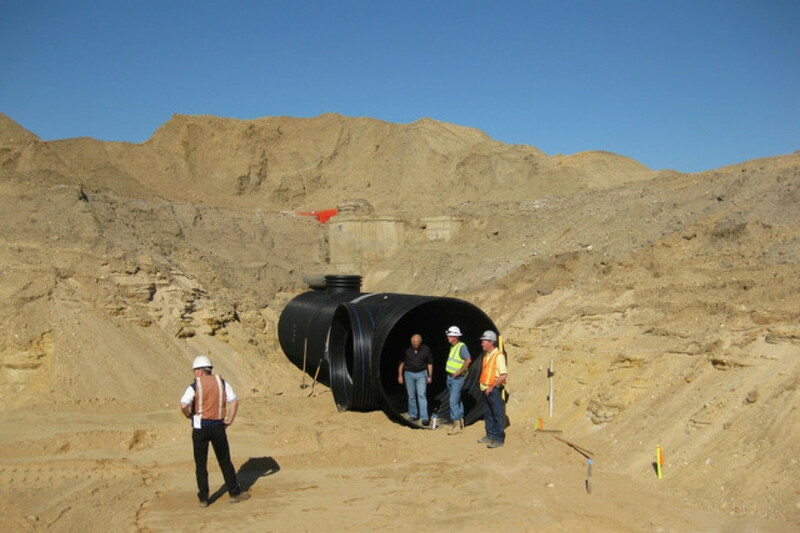 LKMA was responsible for the stormwater analysis and design which included the task of verifying that the post-construction configuration of the airport’s drainage system would meet the FAA design storm capacity requirements. This task was accomplished by developing a complete computer drainage model of the airport’s existing positive drainage system using StormNET drainage software (EPA SWMM). Survey, design and construction inspection involving the installation and modification of airfield signs including the installation of new airfield cables, replacement of transformers, construction of precast concrete sign footings, removal and disposal of existing concrete footings, cabling to existing light fixtures, installation of steel duct by jacking methods, trenching, restoration and maintenance and protection of traffic for both aircraft and vehicular traffic. Project involved both day and night work (11P.M. – 5A.M.) to minimize impacts associated with closing runways. Inspection reports and documentation for this million dollar project which required security clearance were in accordance with NYSDOT MURK procedures. A redesign of the airfield drainage system was conducted in association with the expansion and reconstruction of the East Concourse of Long Island MacArthur Airport. 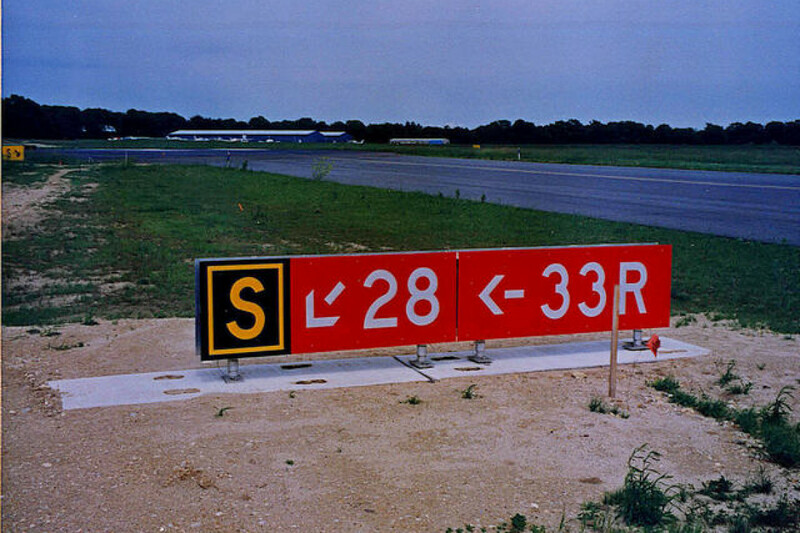 A topographic survey was performed and design components consisted of 1500 linear feet of 54 inch and 48 inch drainage pipes to collect runoff from a new 240,000 sf aircraft apron area, a substantial portion of the existing runways and taxiways, and from a major portion of existing landside passenger parking areas. 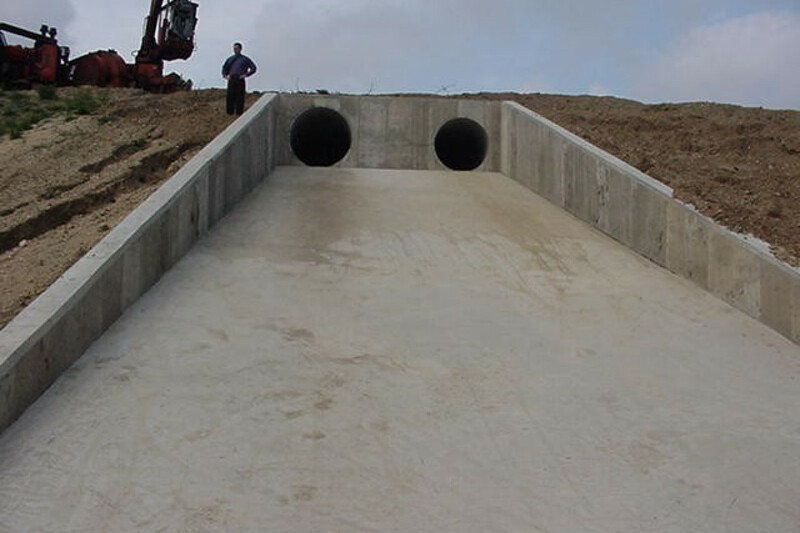 The new drainage system eliminated surface drainage ditches and some old culverts, and doubled the size of the receiving retention basin. Appropriate drainage of the airfield was maintained during construction which was inspected by LKMA. 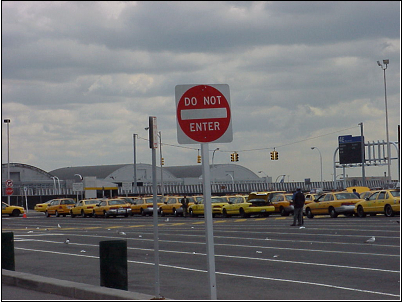 This project, accomplished under our “On-call” Traffic Engineering services contract with the Port Authority of New York and New Jersey, consisted of schematic design and construction staging drawings for the 500-vehicle Central Taxi-hold facility at JFK Airport. We developed alternative layouts for the storage of taxis while they awaited dispatching to the various passenger terminals at the airport, as well as schemes for maintaining taxi operations while the facility was being expanded. 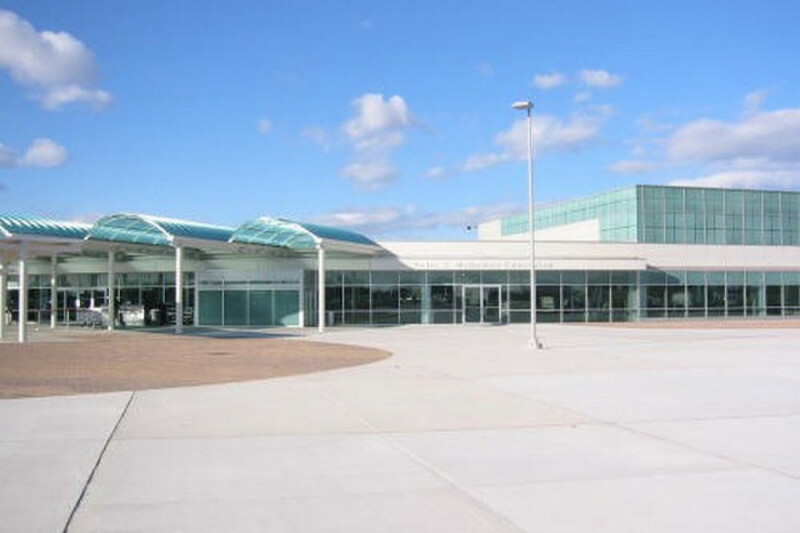 The project included engineering services in conjunction with the improvements to the Aviation Utility infrastructure at the Gabreski Airport facility in the Town of Southampton, Suffolk County, NY. 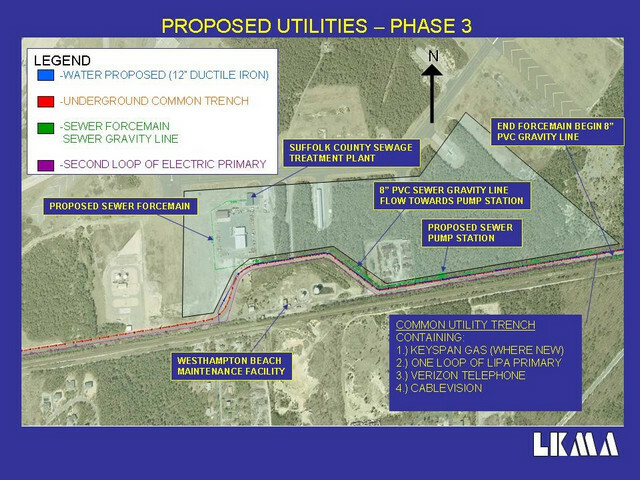 The project included investigation, testing and location of all existing utilities, and development of a Master Plan for the future infrastructure, including cost estimates and a phasing plan for implementation of improvements. The project included close coordination with Airport Management as well as all local utility companies. Investigation and design of necessary expansion of the existing sanitary system was also included. The project included design of all utility improvements, as well as construction monitoring activities to augment the Department’s efforts. We provided design and construction inspection services for this project. Completed in June 2010, the airside component of this $4 Million project involved the installation of a 150,000 square foot aircraft apron. The project required 25,000 cubic yards of earthwork that was compacted to 100% modified proctor, installation of 23,000 tons of P-401 asphalt, the removal, installation and reconnection to the existing vault building, of over 7,000 feet of underground electrical cable for airport lighting circuits, visual aids and communications, over 700 feet of airfield drainage pipe and associated structures and the installation of approximately 800 linear feet of airport security fencing. 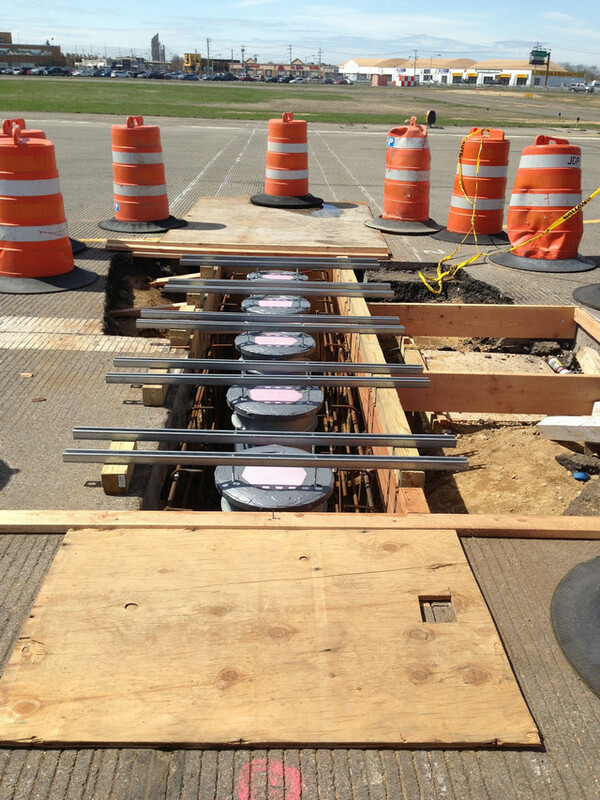 LKMA provided construction inspection services for the construction project consisting of the installation of materials for the Runway 32 EMAS, including all associated excavation, installation of a new approach lighting system, relocation of the airport rotating beacon, runway lighting, grading, paving, drainage, pavement markings, and other work necessary for the installation of the EMAS bed. 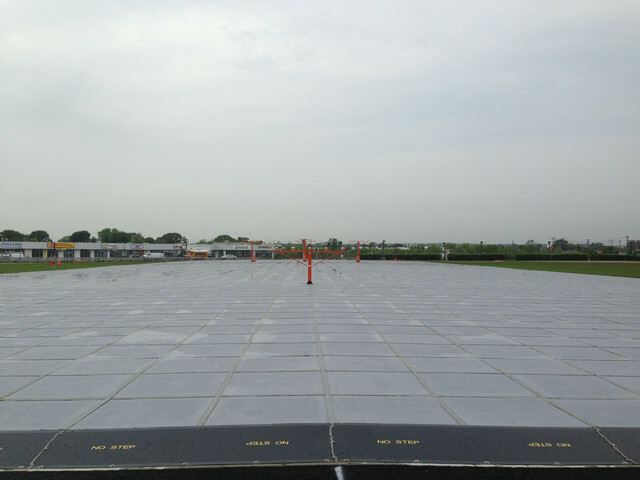 EMAS is a system of cellular concrete blocks that form rectangular beds at the ends of each runway. EMAS is designed to safely stop an aircraft that overshoots a runway, reducing the potential for injury to people on the aircraft and ground. The existing Runway 14 MALSR system (Medium Intensity Approach Lighting System with Runway Alignment Indicator Lights) was removed and upgraded. Due to changes in standards for spacing of the rails, the MALSR was replaced with a MALSF (Medium-intensity Approach Lighting System with Sequenced Flashing lights). Project included construction of a new MALSF building.